Aliens have visited Mebloteca Yellow in Off Piotrkowska, an amazing place with alternative flavor given by different kinds of furniture. 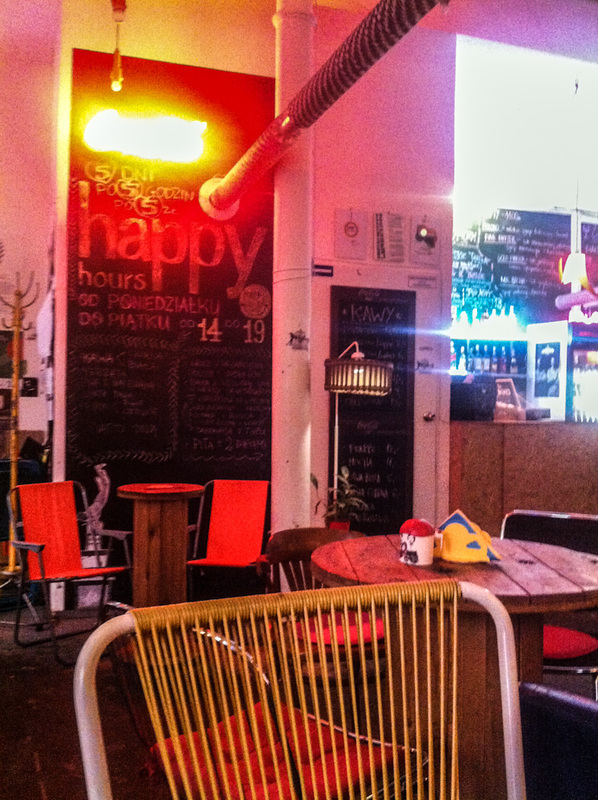 This creates a perfect atmosphere for a lazy afternoon, so feel free to come here over a coffee or even for brunch. 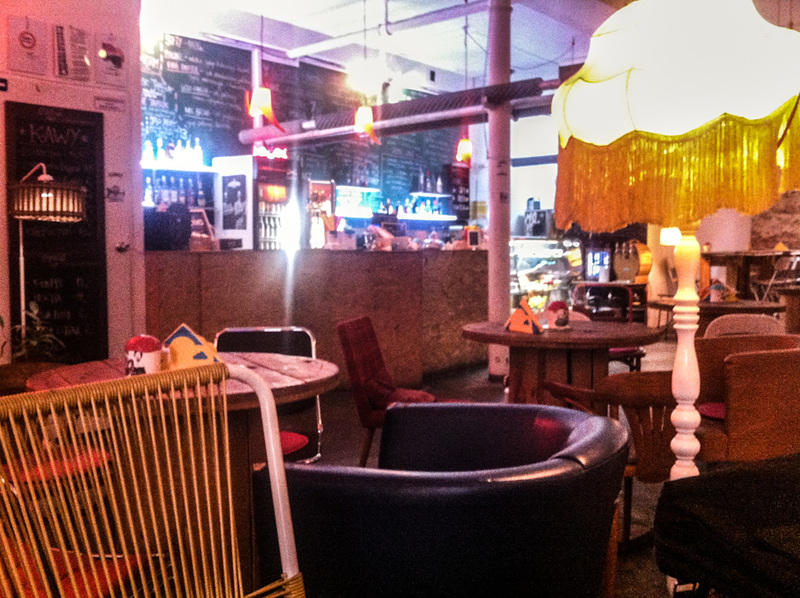 If you are looking for a place where you can work on your laptop, Yellow is one of the best places in town. 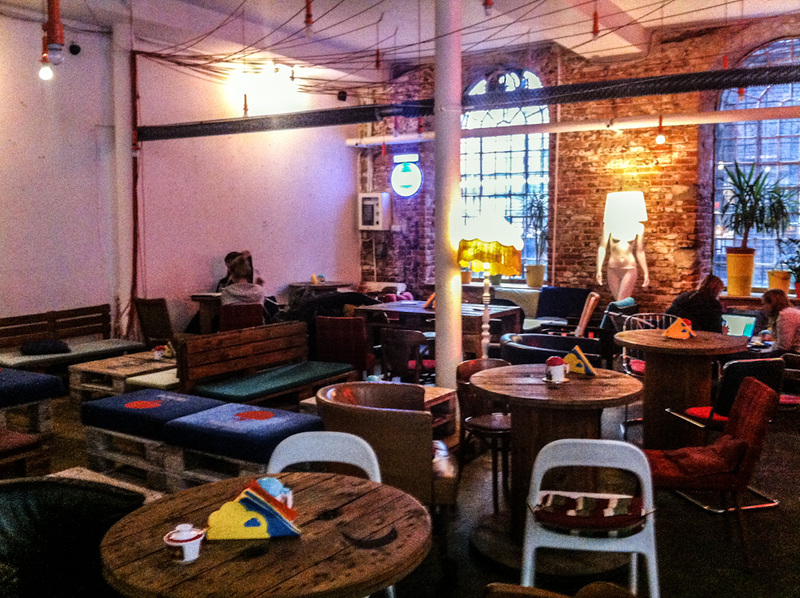 They have free WiFi and an environment that makes you feel at home. 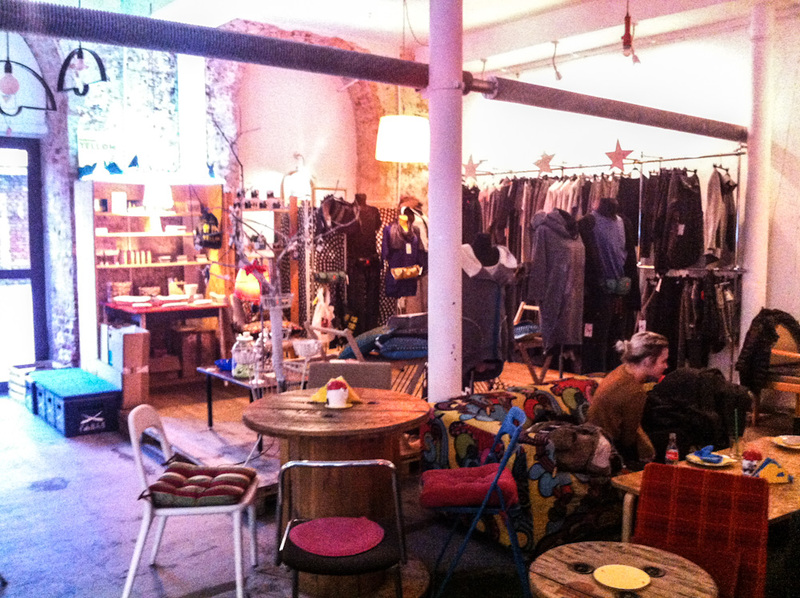 Moreover, they have a designer shop where you can find cool stuff. But you know, if you want unique things, you have to pay the price. As a poor volunteer right now, I cannot afford to buy stuff in these places. Before to talk about the food, you need to know that if you want to order, you should do it by the bar. 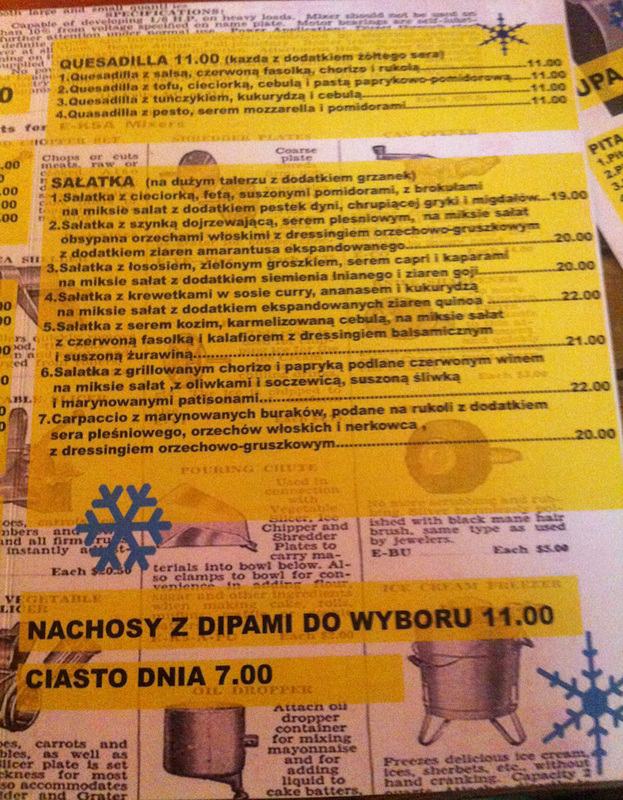 Only Polish menu is available and the staff barely speak English, so be prepared to put in practice your Polish skills. We were four, so each of us decided to go for different dishes. 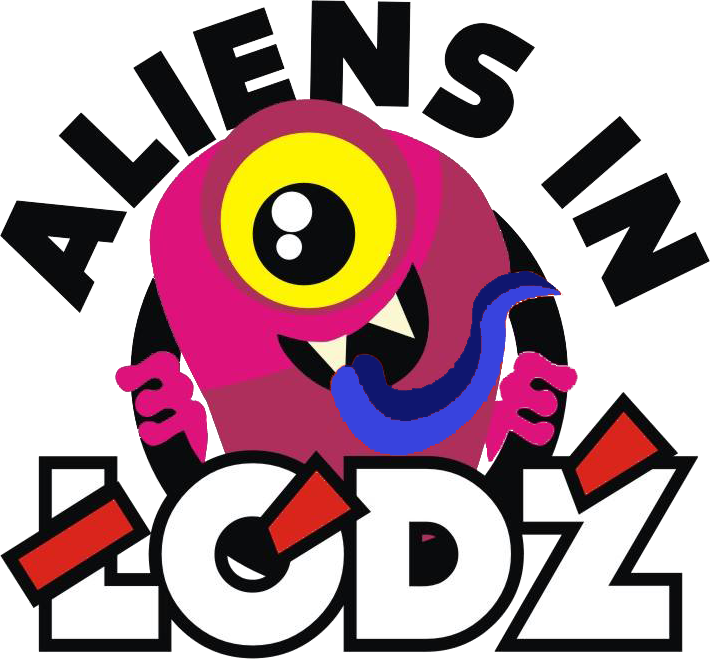 Lunatic Alien went for a vegetarian bułka and for a moment she was confused, because we thought that it has meat inside. It smelled like it, but surprisingly it was soy salami and even delicious. Our new mentor of the Foreign friendly society project decided to go for another kind of kanapka. 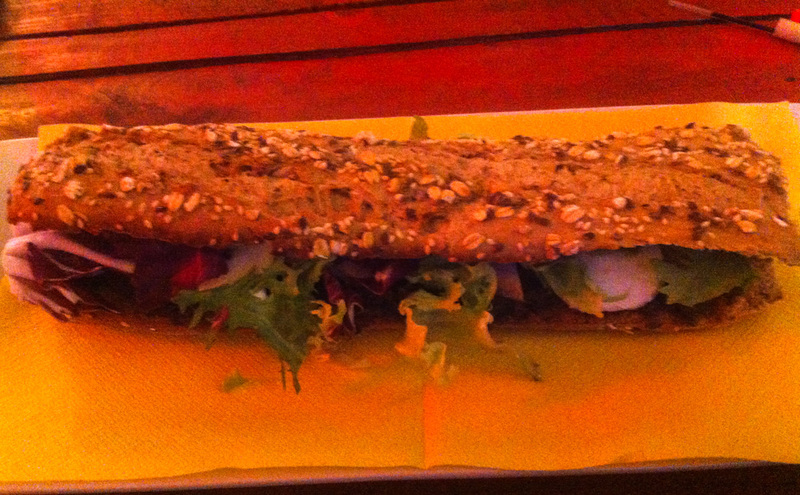 As you can see, is not so big, but it was decent and cheap. 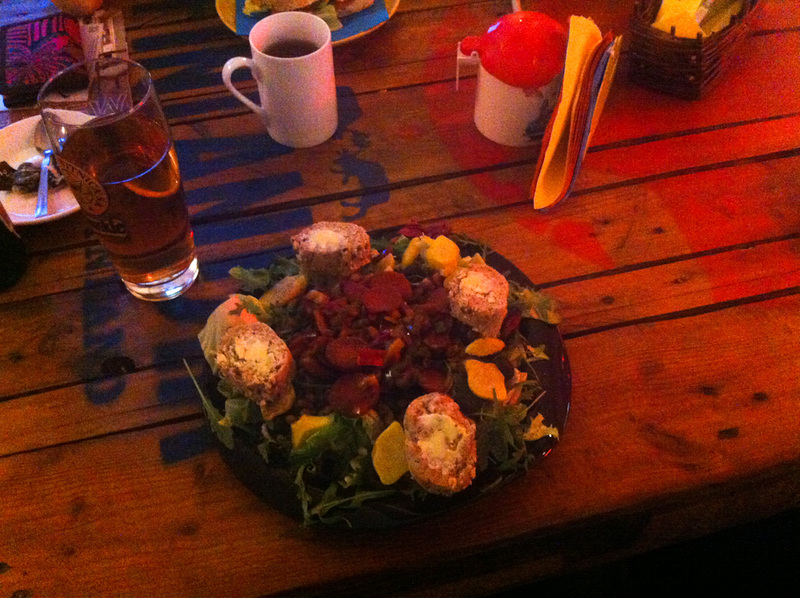 Our new volunteer Gabriel from Belgium had the jackpot with this incredible salad with chorizo. He couldn’t finish it, because it was too much food and he strongly recommend this dish. 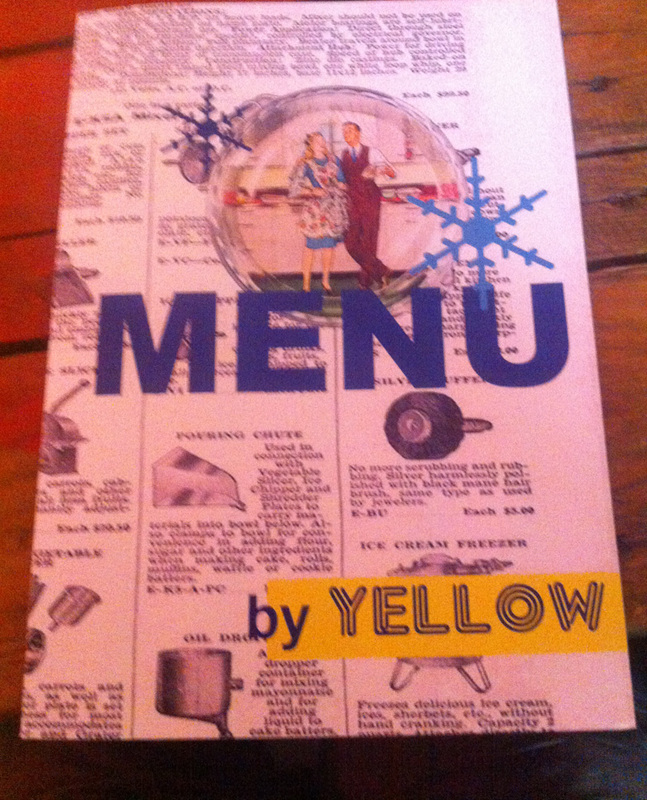 Definitely I will try it in my next visit to Yellow. 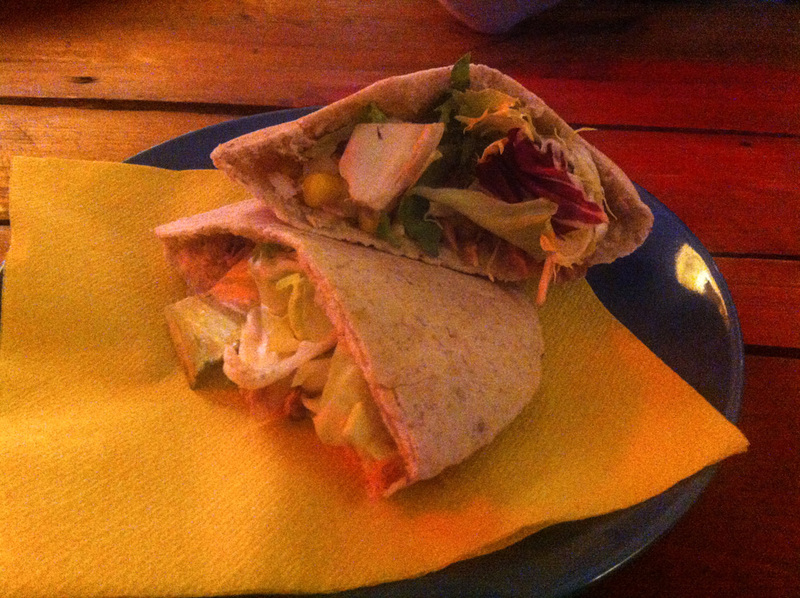 The last but not the least its this huge kanapka with mozzarallea, chicken, salad and paste that I cannot describe. 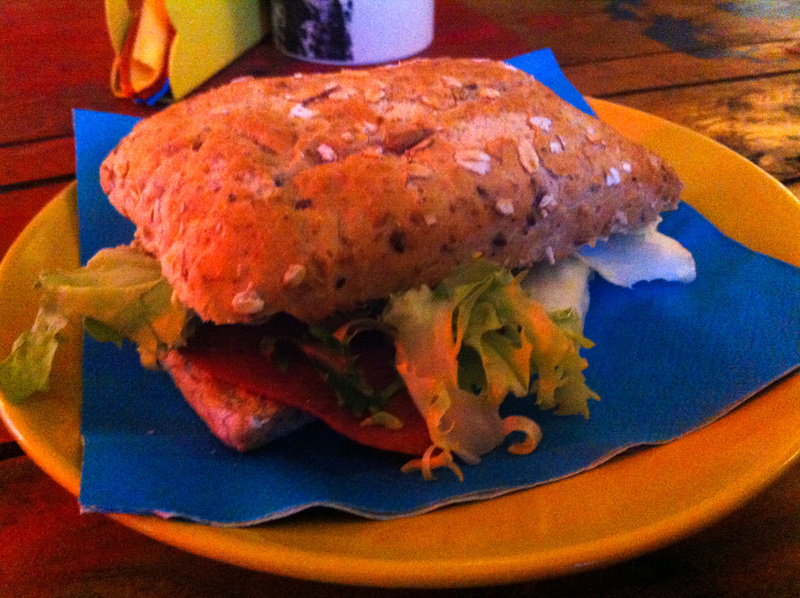 It didn’t make the sandwich better and basically I didn’t like so much this combination. 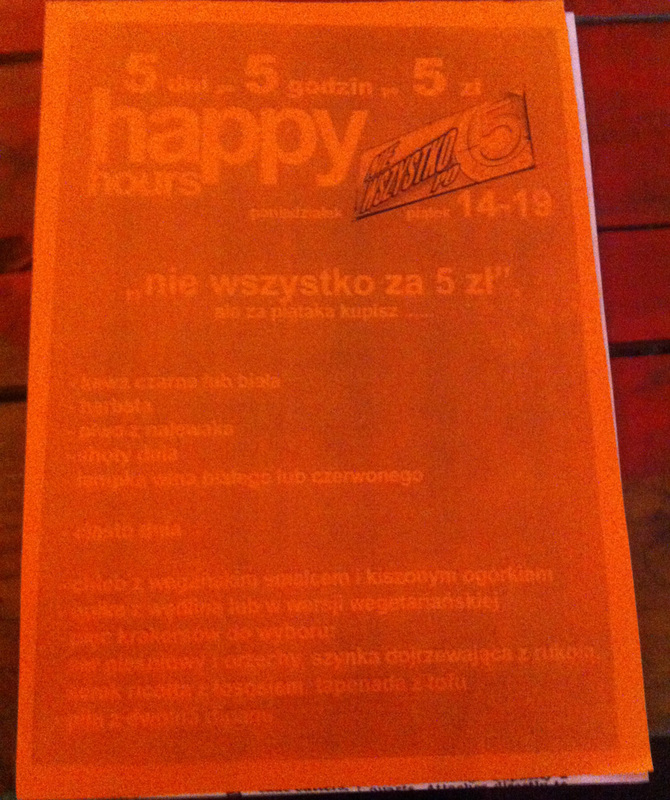 Happy Hours: From Monday to Friday 14:00- 19:00. 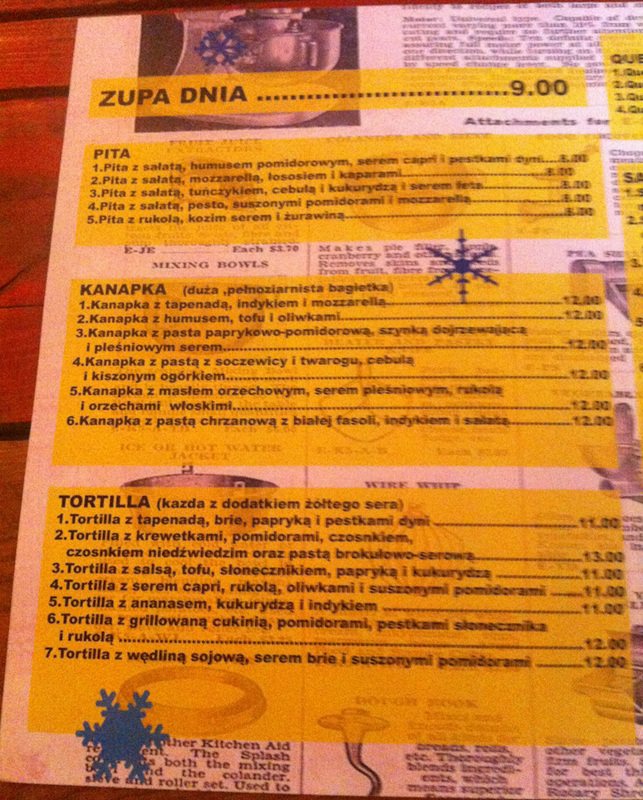 They have different sandwiches and drinks for only 5 zł.